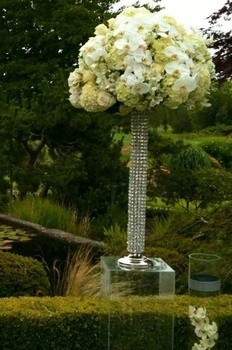 These pedestals are made of acrylic and will give a beautiful romantic and elegant effect to your wedding. Description:Price is given per item in rental. The item is the lower one that is shown in the picture. Add a silk or fresh floral arrangement to go on top!